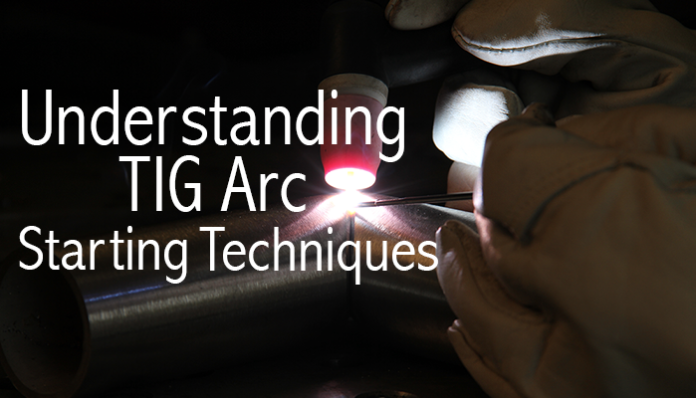 ESAB technical experts receive lots of questions about TIG arc starting, and more questions relate to Lift TIG than anything else. While the technology has been around for more than 10 years, misconceptions remain, and users still struggle with the proper procedure. Developed as alternative to “scratch starts” or high-frequency (HF) arc starts, Lift TIG provides consistent, positive arc starts for welding with a DC output. There were two primary reasons to develop Lift TIG. First, HF current can interfere with electronics, including laptop computers and CNC machinery. Second, the scratch start technique, where the operator scratched the tip of the tungsten on work piece with a motion similar to that of striking a match, could contaminate the weld with tungsten particles. In a critical application, arc starts would need to be ground out and rewelded. Lift TIG completely eliminates issue associated with HF and, when executed properly, almost entirely eliminates the risk of tungsten inclusions. When we see people getting frustrated with a Lift TIG unit, most of the time it’s because they are trying to use a scratch start technique. 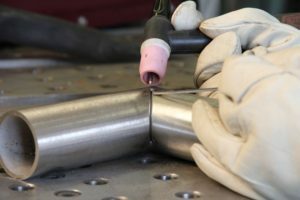 It’s critical that you just lightly touch, not scratch, the tungsten to the work piece, as well as hold it there for a second before lifting the TIG torch. The simple answer is that ESAB and the other manufacturers do have units specifically designed to provide HF TIG arc starts. Going beyond that, it might help to understand that HF is a High-voltage, Low Current, high RF frequency that is induced onto the welding lead. Incorporating HF components adds hundreds of dollars in cost to a power source, and not every customer wants to pay for functionality they don’t plan to use. That’s why equipment manufacturers offer Lift TIG-only power sources only and power sources with both Lift TIG and HF TIG arc starts. ESAB is a world leader in the production of welding and cutting equipment and consumables. Our innovative, world-renowned equipment and solutions are developed with input from our customers and built with the expertise and heritage of a global manufacturing leader. The ESAB brand is synonymous with world leading expertise in the following key areas: Manual welding and cutting equipment, welding consumables, welding automation, mechanized cutting systems. For each discipline, continuous development of methods, materials and know-how is being directed to meet the challenges posed by the diversity of industry sectors we serve. ESAB is organized to deliver efficient, high-productivity solutions to meet customer requirements in a manner that exceeds their expectations no matter the market segment. 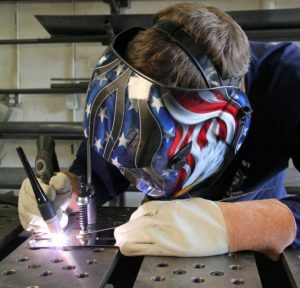 ESAB offers a world of products and solutions for virtually every welding and cutting process and application. Rest the back edge of the cup on the work piece. Rock the cup forward and lightly touch the tungsten to the work piece. Depress the torch switch or foot control and maintain contact between the tungsten and the work piece for a second — the power source needs this brief time to recognize the circuit. Rock the cup back to create a small gap — perhaps 1/16”. When the machine senses the gap, it will start the arc. Once the arc is established, move the torch to the proper arc length, which is generally the same or slightly less than the diameter of the tungsten. After practicing several starts, you’ll find that you no longer need to rest the cup on the work piece.